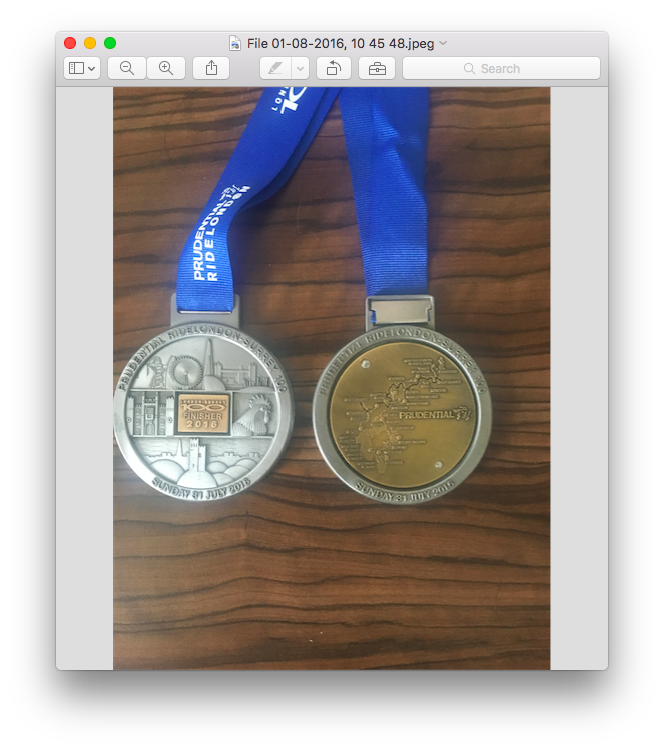 Blog Thank you Prudential - what a ride! Thank you Prudential – what a ride! Yesterday morning I woke at 5.30am to a view from my hotel room looking down on London’s roads without a car in sight but filled with cyclists making their way to the Olympic Park for the start of the 2016 Prudential Ride London. An hour later, I found myself lined up alongside the great Martin Johnson to begin the 100 mile route which took us through the streets of London, out through the Surrey hills and back to the finish line in the Mall. Martin and I probably represented extremes of the abilities of the 27,000 cyclists taking part in this ride. He was back over the finish line before I had reached the half way mark! But whether you are aiming for a record or simply a completion, the ride was superbly well manned. The entire route was a car free zone and many of the roads were lined with enthusiastic supporters waving charity banners reminding us of why so many of us were doing this ride. The Ride London event 2015 raised over £12million and I am told the 2016 event is set to exceed that total. I was cycling as part of the Global network’s “Make some noise” campaign, which will raise money for several charities supporting disadvantaged or disabled youngsters in this country. Along the route there were cycle shirts supporting many many different charities representing so many personal stories. I don’t know how many volunteers had given up their Sunday to help marshall the event and man the food and drink stations, but I am sure I am just one of 27,000 people who would like to thank them for their time and encouragement along the way. Ride London simply couldn’t happen without you, so thank you. I’d also like to thank all the members of the public who came out of their homes to line the streets, waving banners, blowing whistles and cheering us on. It really gave us a boost, so thank you too. I have cycled literally thousands of miles and hundreds of routes for various charities over the years, but the organisation of this event was off the scale. Thank you to everyone who was involved.